In early April, ads began appearing in college newspapers across the United States blasting the organizers of “Israel Apartheid Week” for what they called the “false and deeply offensive” characterization of Israel as an apartheid society. The ads were placed not by Jewish organizations — but by the “Vanguard Leadership Group,” an organization of African-American students. It turns out members of the VLG, who come from traditionally African-American universities, have visited Israel and in recent years have formed close ties with the organized Jewish community in the United States. This might come as a surprise to anyone who assumes that students in general, and black and minority ethnic students in particular, would be hostile to the Jewish state. 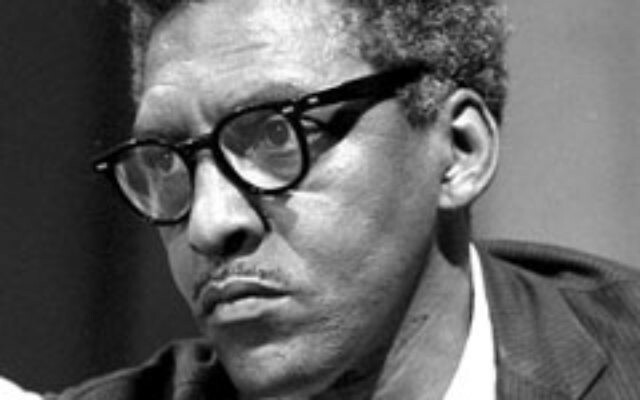 But it will not surprise those of us who had the privilege of knowing Bayard Rustin. If the name doesn’t ring any bells — and it may not for today’s readership — one hardly knows where to begin. Remember the great 1963 March on Washington? The one where Martin Luther King Jr. gave his “I Have a Dream” speech? Bayard Rustin organized that. A protege of the legendary A. Philip Randolph, a man whose threat to stage a March on Washington two decades earlier had forced President Franklin Roosevelt to make huge concessions, Rustin was one of the top leaders of the civil rights movement right up until his death in 1987. Rustin was unafraid to take unpopular views. When accused by a racist white Southern senator of being a draft-dodger, a communist, and a homosexual, Rustin wrote a blistering defense. He had indeed refused to serve in the U.S. military during the Second World War and had at one time supported the Communist Party (from which he had broken following the Hitler-Stalin pact). And he did not deny his homosexuality (and later in life became an active campaigner for gay rights). Rustin was not always loved by his colleagues on the left either. Like his mentor Randolph, he believed strongly that the labor movement was the key to social change and was willing to work with conservative union leaders to achieve his goals. He was a consistent advocate of human rights and stood up for the Vietnamese “boat people” in the 1970s when many on the left were busy cheering on the victorious Vietnamese Communists. And he was the strongest supporter Israel ever had outside the Jewish community. Rustin supported Israel because he believed in its values of democracy. But he wasn’t an uncritical advocate. He campaigned for the rights of the “Black Hebrews” who had settled in the southern Israeli town of Dimona. He was a strong supporter of the Histadrut and the Israel Labor Party. As a gay activist, he was certainly aware of the severe repression gay people suffered in the Arab world and of the relative tolerance shown by Israeli society, even in his lifetime. 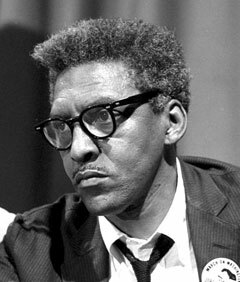 I knew Bayard Rustin in the 1970s and had the privilege of working with him when he took on the role of chair of the Socialist Party. I watched him take on growing anti-Israel sentiment in the black community by organizing the Black Americans to Support Israel Committee (BASIC). When I read about the black students today challenging the “Israeli apartheid” slander, I couldn’t help but think of how Bayard would have reacted. He would have stood with them, proud to be one of them.